We could define success as the improvement of a person’s life or the prosperity of his activities. During a campaign of information about agricultural loans in the Zebonisso village of Bokhtariyon jamoat, Mahmadullo Rozikov, an inhabitant of this village, was very interested in the loans offered by Humo. The next day, he applied for a loan in the amount of 3,000 USD for his farming business. On February 11, 2014, he received the requested loan and used it to purchase fittings, stoves, seeds and mineral fertilizers. Mahmadullo sowed Bulgarian pepper, red pepper, tomatoes and other kinds of vegetables in his farm land and got a good profit from their harvest. With the profit he made, he bought a tractor and expanded his farming activity. However, Mahmadullo did not have enough funds to sow again. He applied again, for a loan of 5,000 USD. Thanks to this loan, he rented a large plot of land and increased the sowing of agricultural crops. When he realized that his cooperation with the credit organization had improved his life, he took a third loan from Humo in the amount of 1,133 USD. This time he bought fertilizers and wheat seeds. He purposefully used the loan and, thanks to the profit he had made, he bought the Porter's truck in order to provide transportation services during the off-season. 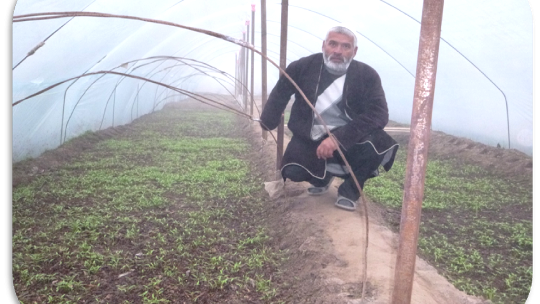 Thanks to a fourth loan, which was supported by MicroWorld's creditors, he purchased seedlings for his greenhouses. “At that moment, the number of my greenhouses had increased and I planted a crop of Bulgarian pepper in them", tells Mahmadullo. Thanks to his transportation activity, he purchased several heads of small cattle (sheep and rams) and now his family is also engaged in animal husbandry. Mahmadullo expresses his great gratitude to all employees of Humo and MicroWorld lenders.